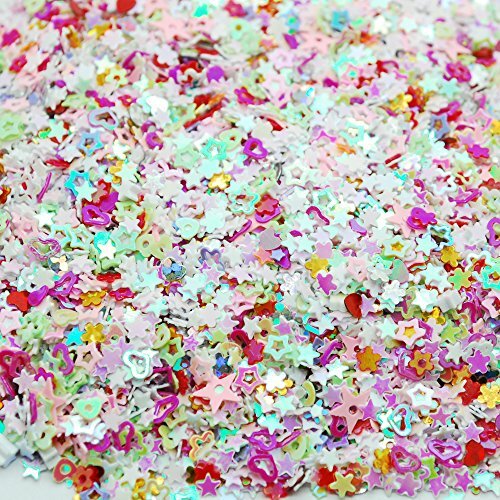 Looking for an awesome homemade glitter gak recipe? Look no more! 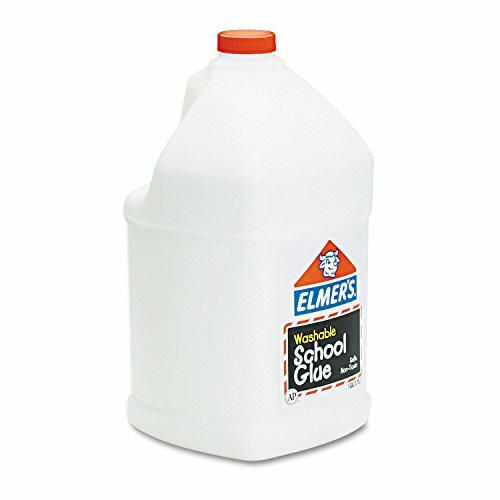 Now this type of glue has a consistency of a solid mass, it flows slow, and stretches well the more you play with it. 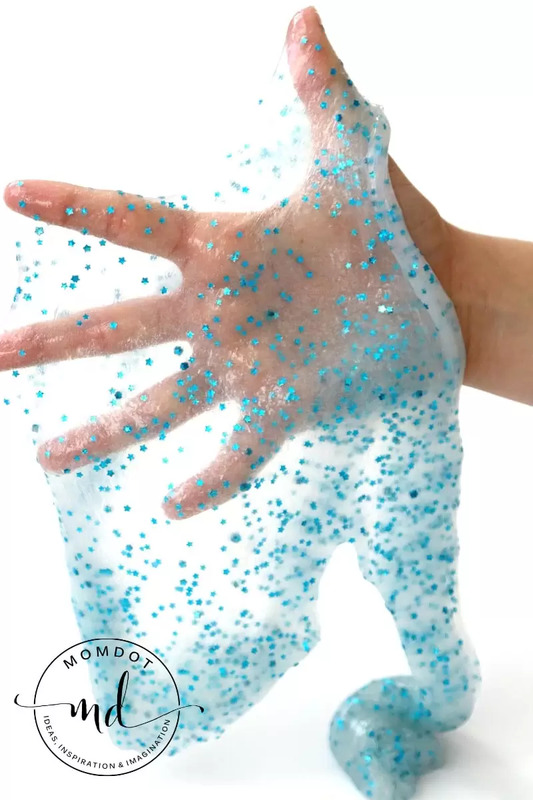 Unlike traditional slime recipes, you don’t have to worry about it hitting the ground quickly and can easily be customized with fun glitter shapes like stars or hearts. It can also stretch really thin, which means its great for making bubbles with slime. 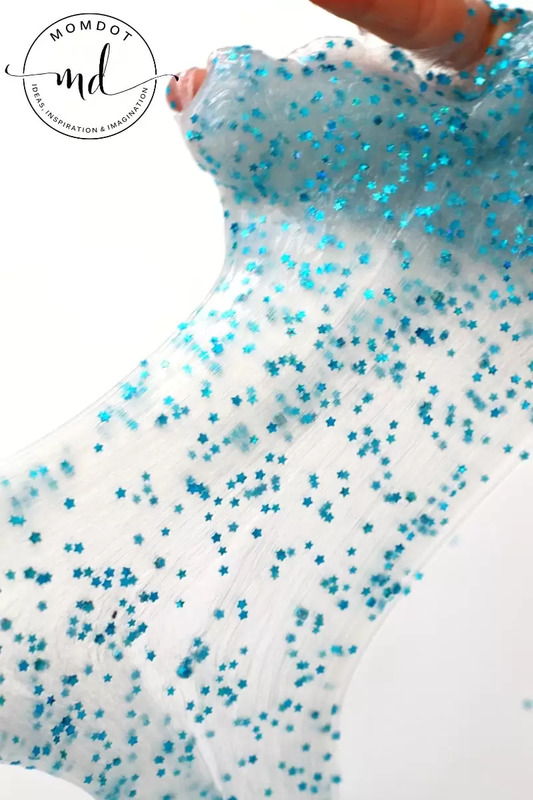 Please note: This homemade glitter gak is the kind that stretches great for bubbles. 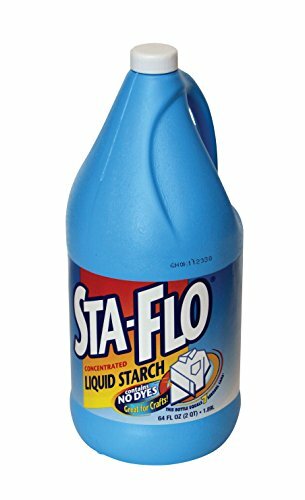 This is not the super flow slime you see in the Pot O Gold slime recipe or the medium flow you see in the Rainbow Slime. 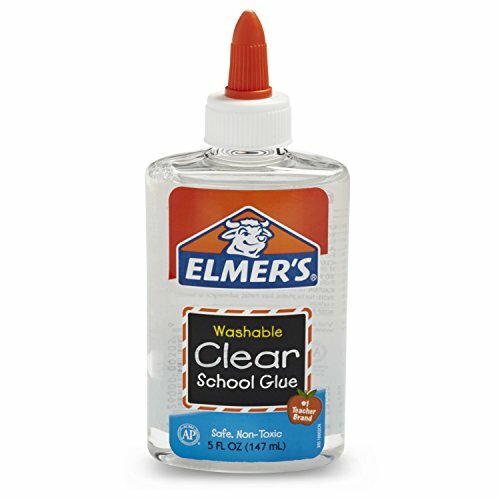 Depending on what you are looking to do with your slime will depend on the type of glue that creates your slime. Please use the right recipe or you may be disappointed. Add 1 1/3 cup clear glue to a bowl. The glitter should dominate the bowl. Now add 2/3 cup liquid starch and stir. Once slime beings to form, you can remove from bowl and kneed between hands. Make sure all starch is absorbed by continuously dipping in the bowl or swirling slime in the bowl. The more you stretch the slime, the more flexible it will become for play. Love this slime? One of my favorite slimes is rainbow slime or you can also learn to make this slime recipe without borax (saline) if you want! 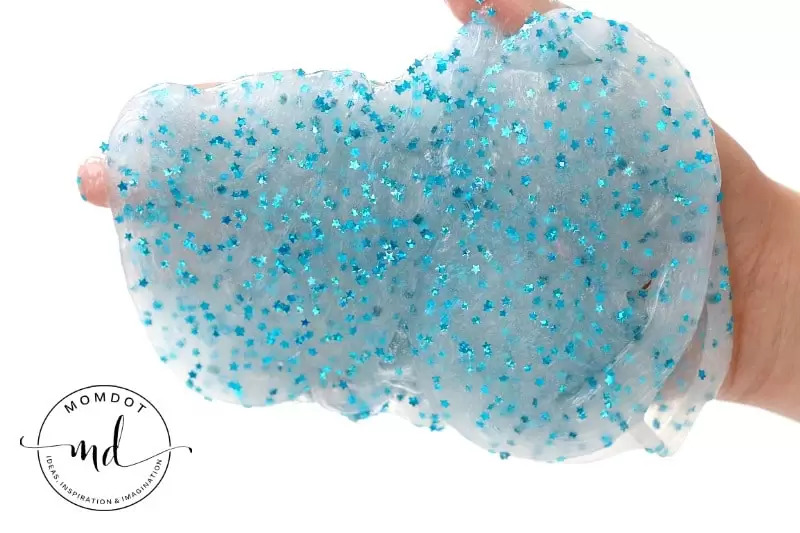 Of course if you are looking for the easiest slime, try my Fluffy Slime recipe with only 3 ingredients to super slime fun. 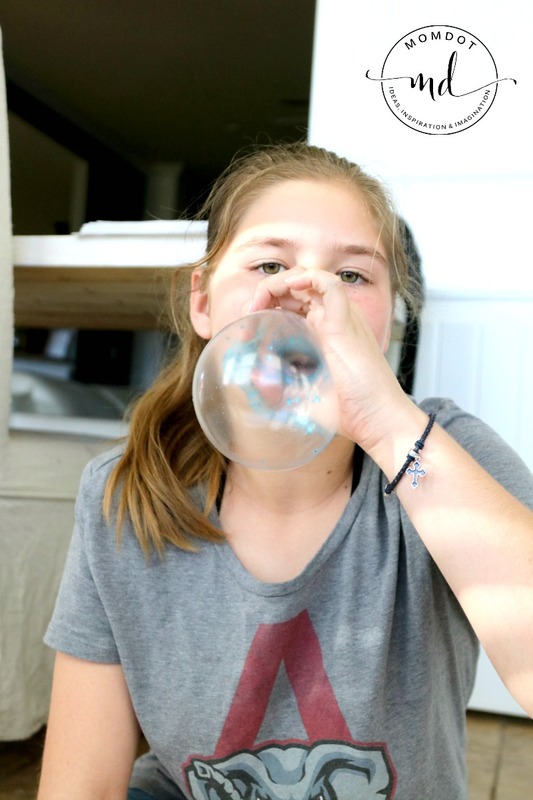 Using the above recipe, you can easily blow bubbles with your slime! Click below to be taken to the step by step tutorial. Head over to see how to make striped slime by clicking image below.